Just to get the obvious out there: I love old video game ads. I love infomercials. I love ’90s video techniques and effects. I love terrible things that are trying to not be terrible. 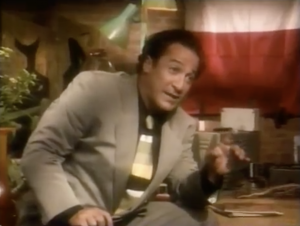 All that said, this 30-minute infomercial for SEGA’s 32X add-on to their Genesis system is a confusing mess of objectives and styles and while i don’t really regret watching a single minute of it I kind of regret watching it at all. I’m confused, too. 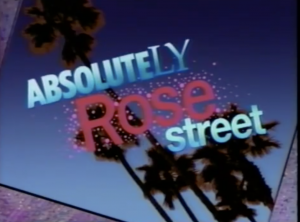 “Absolutely Rose Street” takes the common infomercial form of a “dramatic” narrative that not-so-subtly sells you a product while telling a story involving somewhat complex characters. The narrative is pretty wonky, though, and about 90% of the half-hour is spent on this effort. I’m still not sure I’ve got it straight, but here goes. There’s a show being pitched to a cable station that’s created by a bunch of young, cool, twenty-something teenagers called “Game Beat”. The station manager, an aging white dude, tells his subordinate, another aging white dude named Joe Whitehead, to fix up the show and make it better. Joe’s got a side thing going with a host of a competing show, “Styling with Stella”, and tells the “Game Beat” crew that they’ll be cancelled unless they can come up with an amazing episode in a week. The “Game Beat” crew takes to the streets, interviewing kids about SEGA stuff. 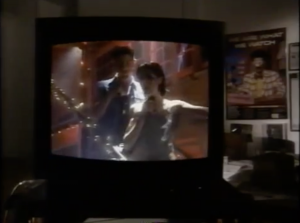 They also get some intel from SEGA itself in a weird, matrix-like fashion through a Windows ’95 interface. The team presents their video and are cancelled in favor of Stella’s show anyway. The gang decides to throw a party (?) and shoot one last edgy episode of “Game Beat”, the name changed to “Absolutely Rose Street”. Their skill at lighting a shot has decreased significantly by this point. They sneak into the station and swap the edgy episode of “Game Beat” so it plays instead of Stella’s show. Stella and Joe are upset, but then Joe learns that his boss likes it! Wah-wah! The “Game Beat” crew lives to fight another day. 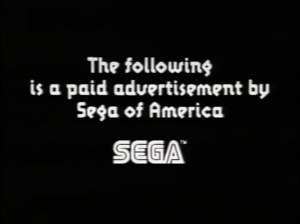 Oh, also, this whole thing was meant to sell kids on an adapter for their SEGA Genesis system. It’s sort of an easter egg in this video. See if you can find that part in the middle of all of the compelling story that’s taking place. For a more in-depth write-up on this video, check out Video Game Ephemera, who ripped, posted, and wrote-up this long-lost video in the first place. Thanks, VGE! What a find.